There are 40S’s, then there is this magnificent SUPER HIGH END 40S! We actually did resubmit it 2X seeking a +. What PCGS wants for a + we can only imagine. Incredible surfaces are spectacular to see. There are ZERO imperfections of ANY size, Any where. Even when using a strong glass, you will only become more impressed. The surfaces have a slight satiny/silky texture. A full booming luster shows off totally ORIGINAL (NOT dipped out) creamy white surfaces. Miss Liberty and the details are lightly frosted and have crisp, standout, and totally full strikes. You can NOT find 40S looking like this. The eye appeal is tremendous! PCGS 10, NGC 11, CA 10 (this is at least 2x). 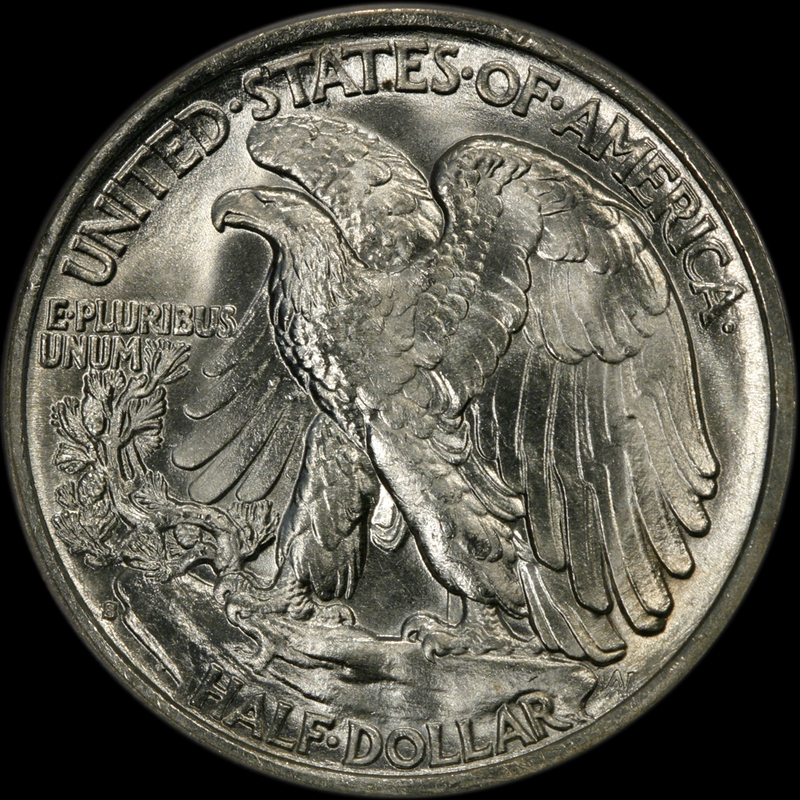 PCGS has graded 3 in MS67+. This coin absolutely would rival any of those. 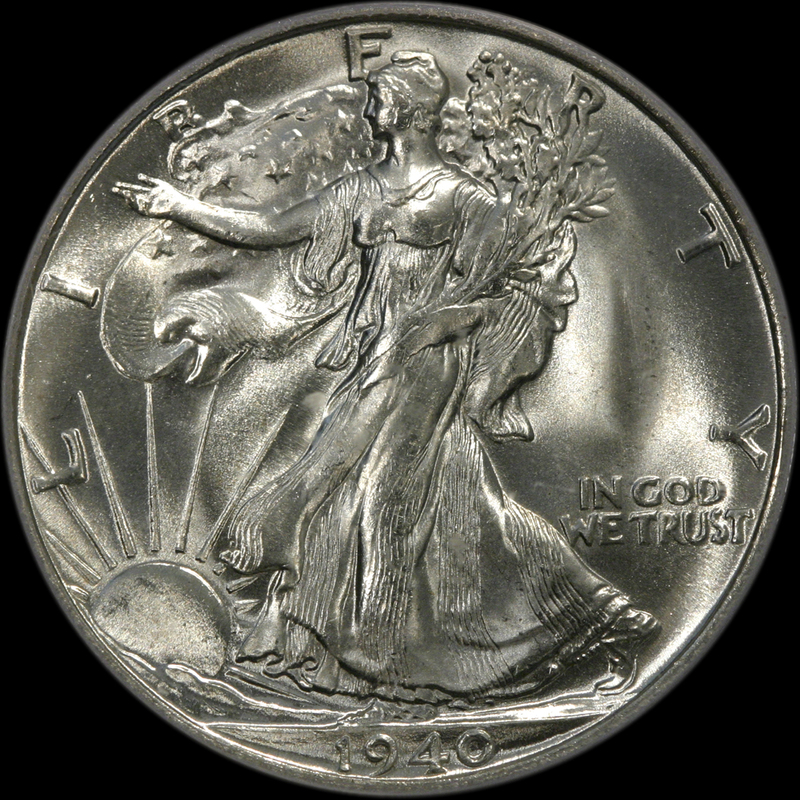 A marginal PCGS CAC MS67 sold for $21,150.00 01/2015. Prior to that 2013-2014 these sold for $27,000.00-$35,000.00. This coin is not cheap, but it is 100% SUPER HIGH END! If you are building a world class collection of Walkers, this coin is a must!